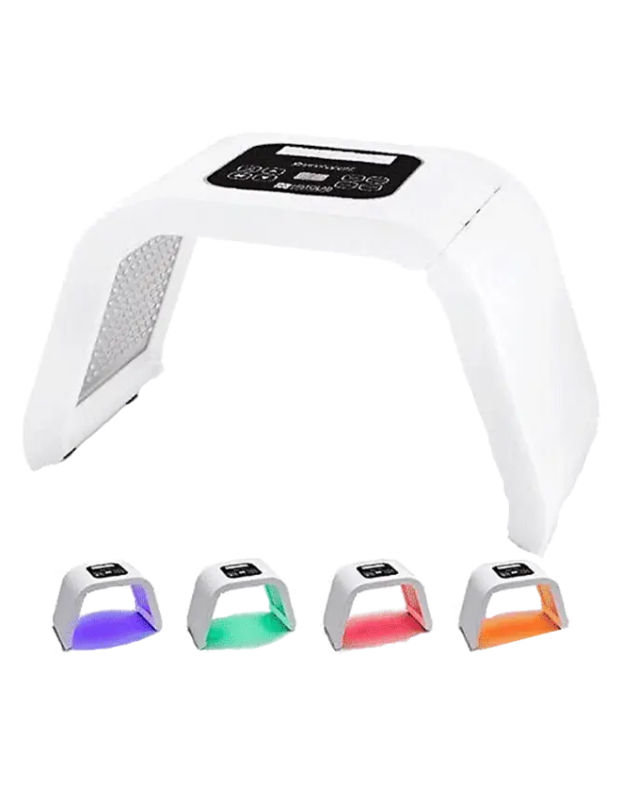 Specially designed for mobility, this new photomodulation device will be perfectly suited for the treatment of all skin areas: acne, fine lines, stretch marks, alopecia. Its dimensions and light weight will allow you to take it with you on all your travels. 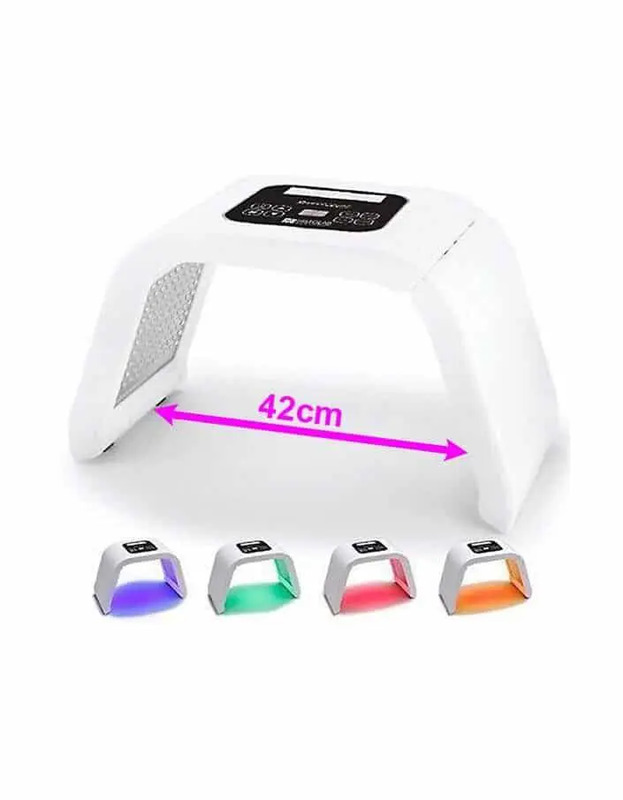 The science of LEDs is based on LLLT (Low Level Laser Therapy) which appeared in the second half of the 1960s and on work carried out in Asia and Eastern Europe over the past 30 years. 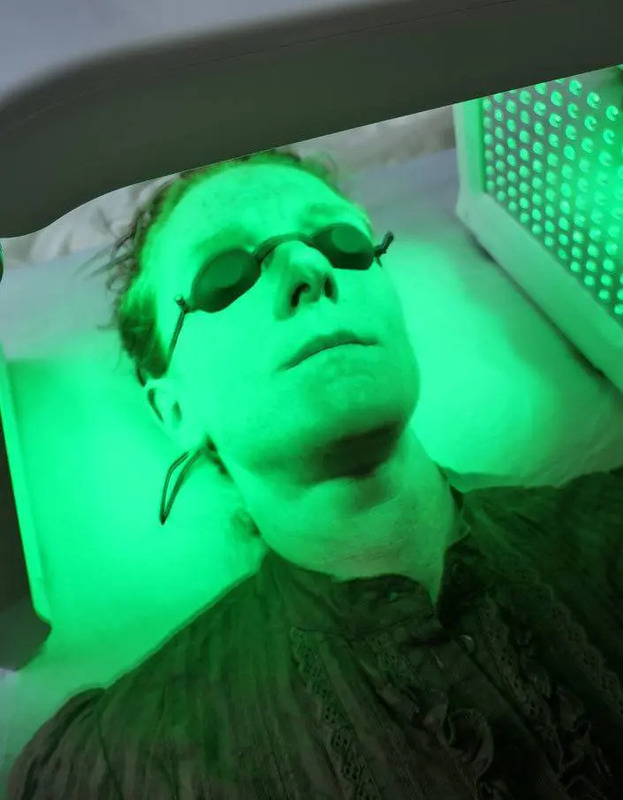 The hindsight is sufficient to attest to the 100% beneficial effects of this technology, no side effects or undesirable effects are to be feared. 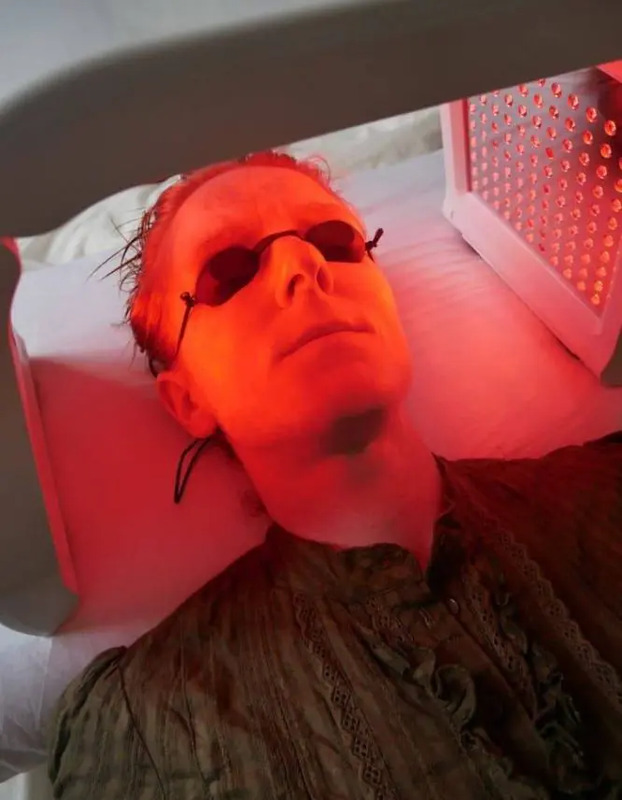 With a wavelength of 630 mm, the red LEDs produce pure and powerful light, with a well-proportioned energy density that provides remarkable benefits for skin care. 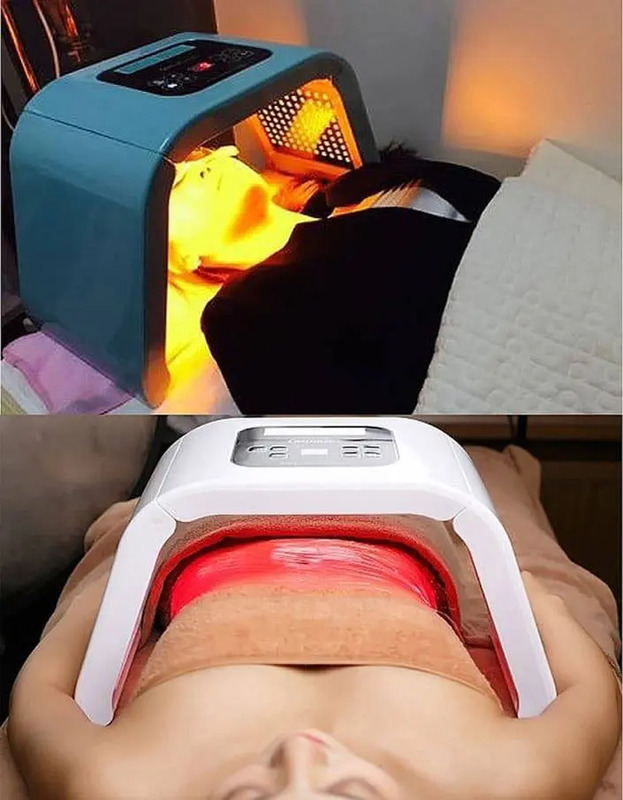 This light improves cell activity, promotes metabolism, stimulates the regeneration of collagen proteins and fibrous skin tissue, accelerates blood circulation, increases skin elasticity and improves skin tone. Effective in restructuring anti-ageing treatments. 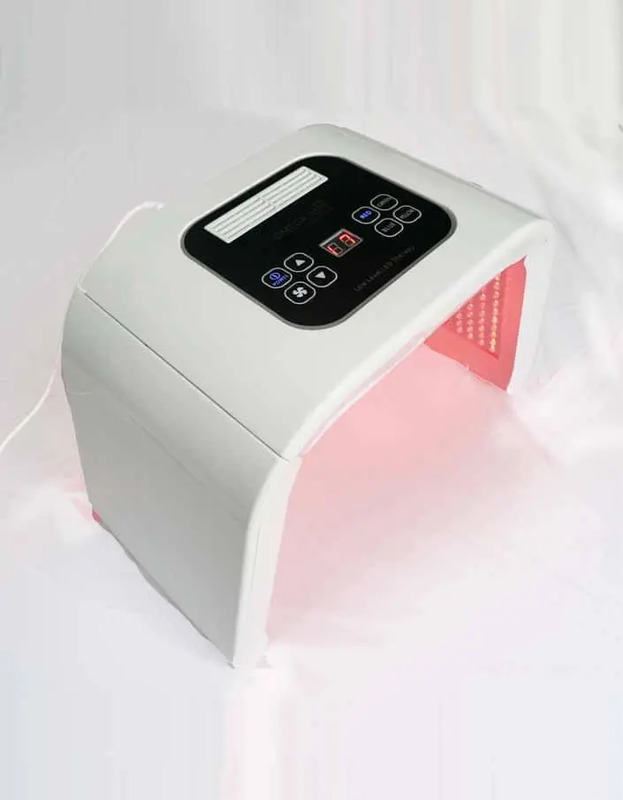 LED phototherapy with red LEDs is mainly used to obtain anti-aging, anti-oxidant and skin improvement effects. The application process is very simple, practical and effective. Direct LED light stimulates the natural regeneration of collagen, penetrates into the deep layer of the skin and breaks down fat to firm and reshape the facial contour. With a wavelength of 415 mm, blue light has properties that help to calm skin inflammation. Acne is caused mainly by acid bacilli; blue light destroys these bacteria without damaging skin tissues. In a few sessions, you can reduce and treat acne and remove blackheads. 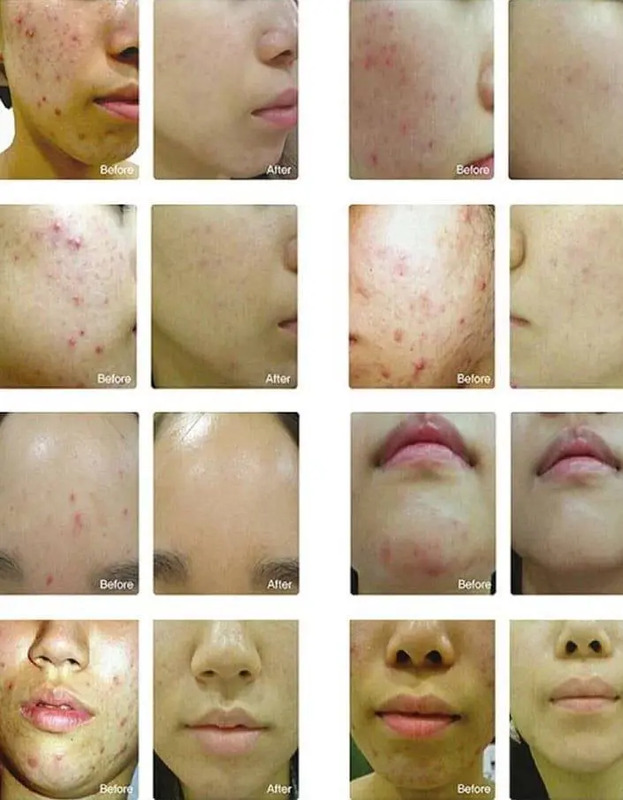 The percentage of effectiveness on the disappearance of acne is from 70% to 90%. Calms redness. It improves blood and lymphatic circulation and thus has a draining, anti-oedema effect. 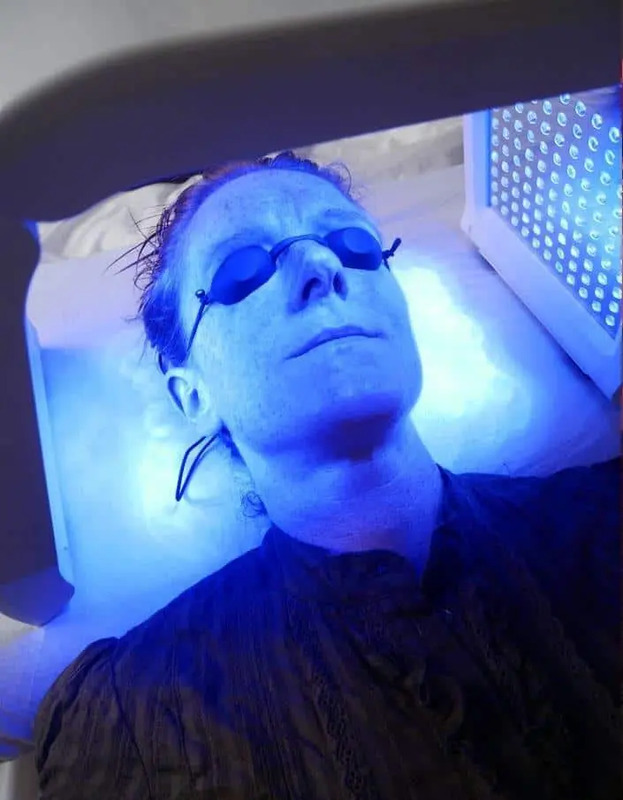 LED light photons (light-emitting diodes) provide enough energy to stimulate a skin response and heal damaged cells. This is a new technique designed to fight skin conditions such as aging and inflammation quickly and effectively. The LED tunnel stimulates collagen production 5 times more and firms our skin. It promotes the proliferation of fibroblasts and collagen in the skin, which enhances bleaching, pore reduction and stain reduction. At the same time, it gives energy to cell activation while effectively helping the skin’s cellular metabolism and reducing the appearance of acne and blackheads. Naturally, the skin must be removed for the sessions. Leave on for 20 to 30 minutes and remove. To increase the results of the treatment, it is advisable to apply a specific cream or ampoule at the end of the session. Under no circumstances apply products containing vitamin A or acne products before treatment. Sessions of 20 to 30 minutes every 2 days for four weeks then 1 to 2 times a month. There is no need to increase the number of sessions. Protects your skin at any time, without additional cost, without waiting, without appointment. Safe, excellent results on all skin types. Painless and without side effects.